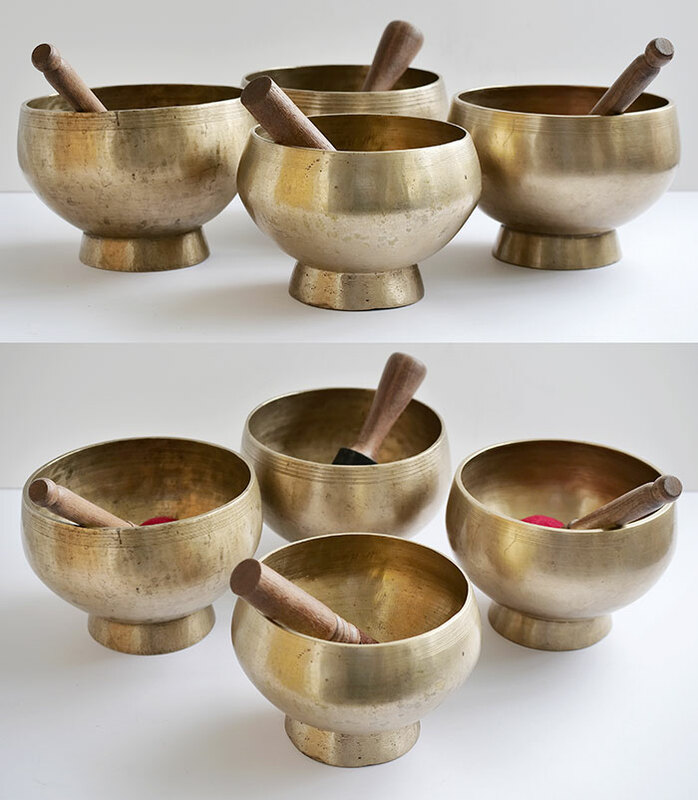 This is a rare set of 4 large 3rd Octave Naga Singing and Healing Bowls. The set has been carefully matched for size, weight, condition and ease of play. The struck notes and rim notes are respectively virtually the same when played with a suede ringer, but second harmonics are possible if a wooden ringer is employed. They are all in excellent structural condition and virtually free of stains. Large antique Naga Singing Bowls are now extremely hard to come by, especially in this fine quality. Third octave Naga bowls like these are outnumbered 4 to 1 by forth octave bowls but, if required, I am fairly confident that I will be able to add the missing notes to this set in due course.